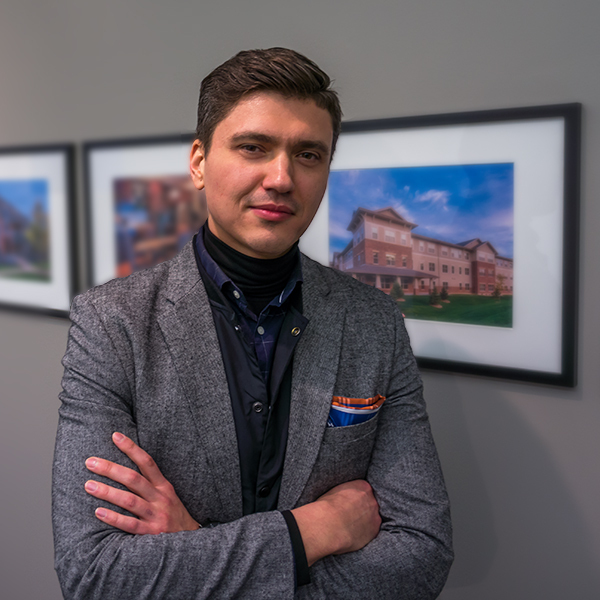 Creative powerhouse, Revit guru, and senior project manager at KWA, Petro has been with KWA since the beginning, having branched out from his early intern days to the senior project manager he is today. Petro is extolled for his dedication to complete a project, working from schematic design through construction on every project. His candor makes him an effective mentor and teacher in the office. His main hobby is traveling. His goal is to visit every part of the world, and when that’s done, to travel to space.